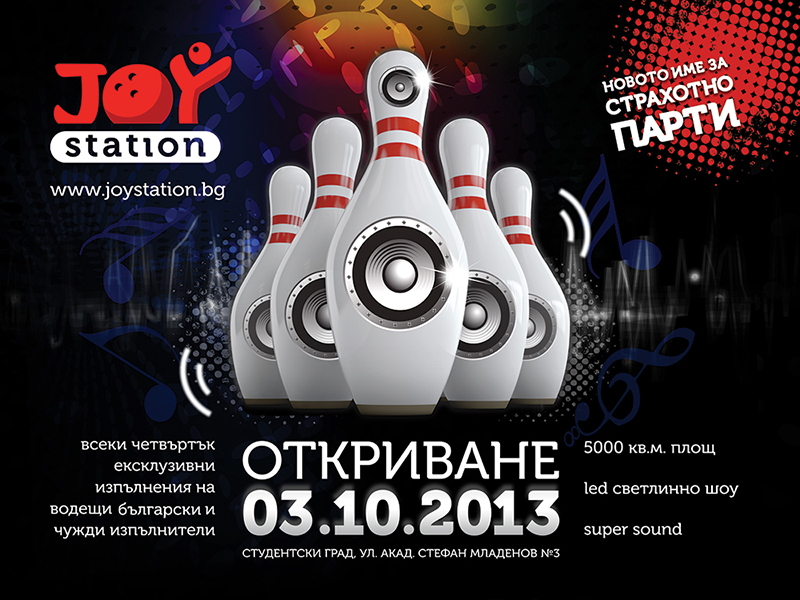 Joy Station is a fun place in Sofia for entertainment and games such as billiards, snooker, table football, darts and many more. 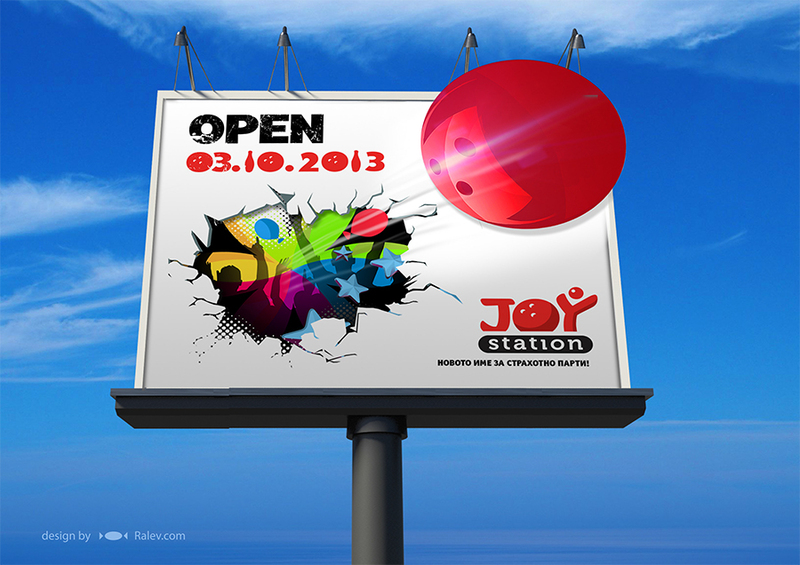 Also Joy Station is very suitable for rock and pop concerts. Our idea was to create a collage of bowling pins reinforced with sound speakers so you can really feel the music and the party. This is what Joy Station is – a place where you can have fun with your friends while playing games and listening to your favorite bands. 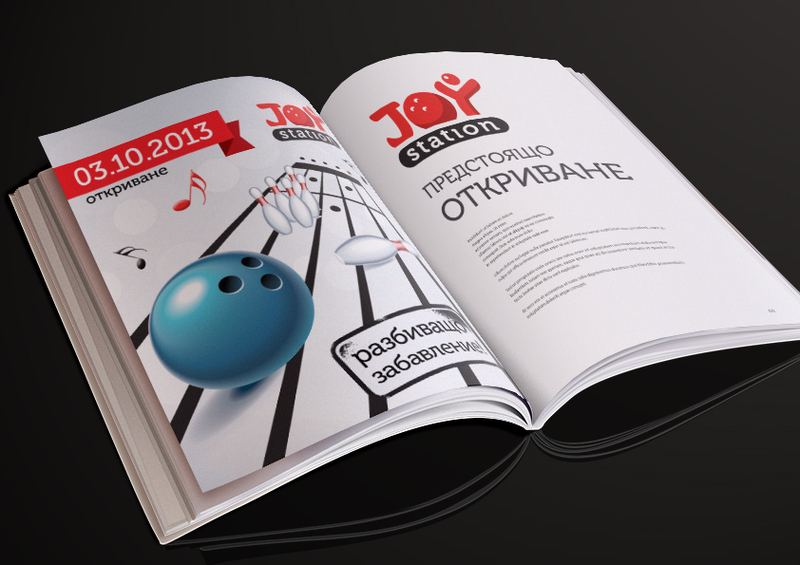 Filed under Print design, Web design.